Today's theme is FIRE, as in CREATIVE FIRE! This final day of the conference will stoke the creative fires within each of us! And hopefully, we'll each head home "all fired up" to create our own passionate masterworks! I'm really excited that today Kathleen Duey (author of the National Book Award Finalist "Skin Hunger") will add fuel to each of our creative fires with her Final Keynote of the conference at 2:15pm, "TRANSMUTATION: Books That Matter" And if you haven't checked out Kathleen's twitter NOVEL in progress, Russet, do it now! And the finale of the conference is the autograph party, where creativity will literally surround us - the books, the authors, the conference attendees!!! Here are Links to my official conference blog posts from this last day of the conference! p.s. 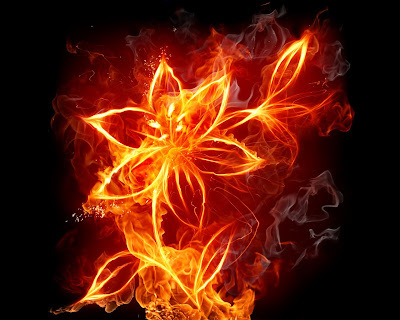 : I found this amazing creative fire image here.